Size: approx. 8 mm. Photo: 06/12/12, 11 pm. 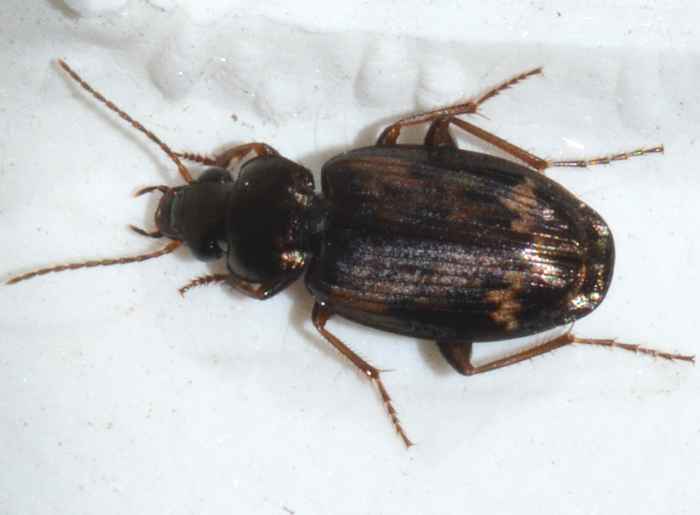 This ground beetle is Tetragonoderus intersectus. It can be found in the Southeast and Texas and seems to prefer sandy locations such as river banks. The six local species in this genus hunt at night and are attracted by lights.